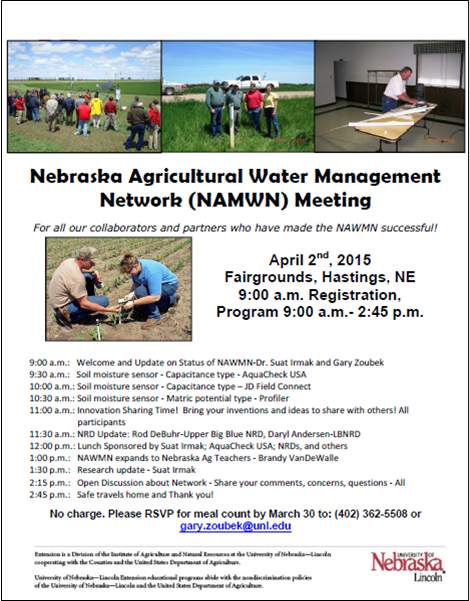 April 2, 2015 is the date for the 2nd annual Nebraska Ag Water Management Network (NAWMN) Meeting! 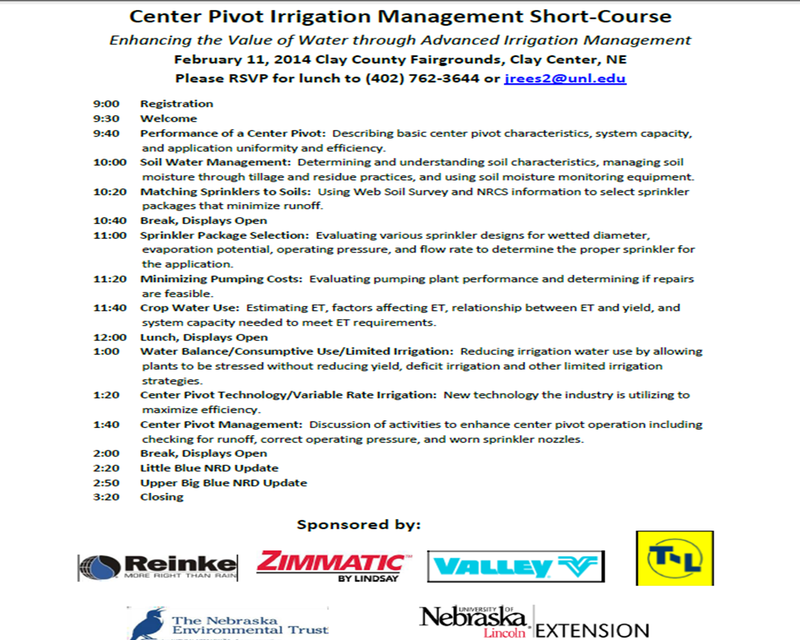 Come hear the latest in irrigation research and share with your peers during the innovation sharing and Q/A discussions. There’s no charge but please RSVP to Gary Zoubek at (402) 362-5508 or gary.zoubek@unl.edu. Have you ever wondered what fair price could be charged for the water your pivot delivers to an adjacent neighbor’s field? Or have you wondered what it would cost if you changed to a different fuel source? 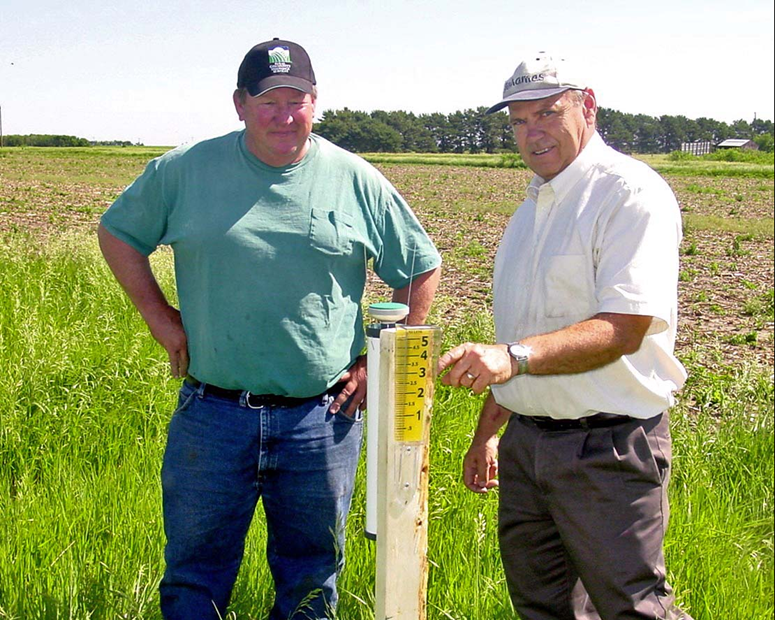 The Irrigation Cost calculator was first developed by Tom Dorn, retired Extension Educator, and was a tool I used and recommended to farmers and landlords in various situations such as those above. The tool has now been redesigned as an online tool with updated numbers built in. Data is entered by you for your operation and calculations are made on a remote server. You can then choose to save your data for later reference or to input various options to compare costs. Calculated output includes fixed and variable costs calculated per-acre and per-acre-inch of water applied. The following information is from Roger Wilson, Extension Farm Management Specialist and Budget Analyst. Ownership costs such as the estimated replacement price, expected life and the salvage values for the well, pump, power plant, gear head, and sprinkler system. After these costs have been calculated, you can use the “Fair Share” feature to estimate the cost for running a center pivot over adjacent land. Additional data needed for these calculations are the number of adjacent acres to be irrigated and the estimated acre inches that will be applied. 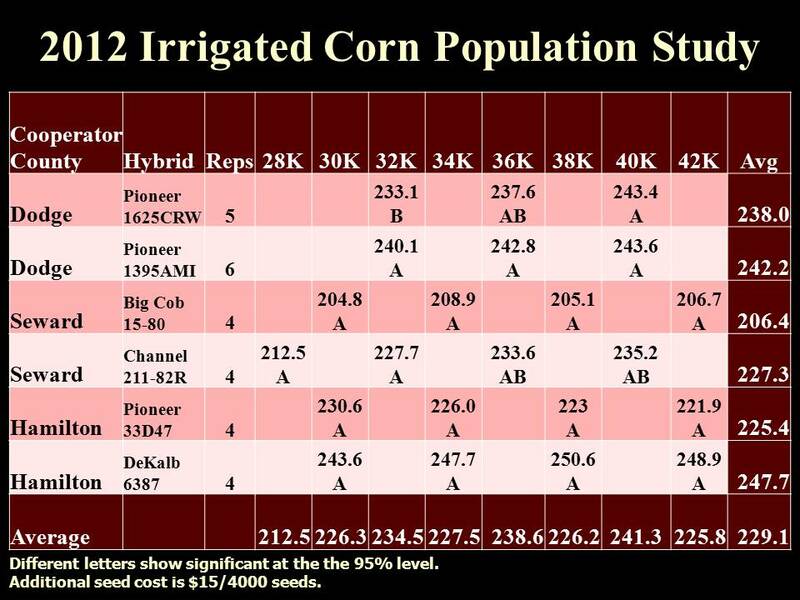 The “fair share” can be calculated on the added acres irrigated or on the amount of water applied. This feature has two components: fixed and variable costs. The fixed cost is an annual cost and the variable cost is for acre-inches of water applied. The Irrigation Cost Calculator web page includes a video on how to use this tool. Agriculture Irrigation Costs App. Calculates ownership and operating costs for center pivot and gated pipe irrigation systems and the most commonly used energy sources. This tool is based on the same resource as the Irrigation Cost Calculator web tool described above. The Web app is a “quick and dirty” means to calculate costs, while the mobile app offers more options for testing and analyzing various options. The mobile app offers side-by-side comparisons for systems that use different energy sources, analysis of gated pipe as well as center pivot systems, separation of landowner and tenant costs, and calculating yield increases necessary to pay for application of an extra inch of water. Irrigation Pumping Plant Efficiency. Helps you identify irrigation pumping plants that are underperforming and need to be adjusted, repaired, or replaced with a better design. Water Meter Calculator App. Calculates the amount of water pumped by irrigation pumping plants and can store data such as field size (in acres), flow meter units, and allocation and annual irrigation caps for each field. Wow, I’m sorry I haven’t published much the past two months! Much has happened though as we’re in the middle of winter Extension ag programming season! I love this time of year seeing farmers and ag industry reps-and just chatting about what happened last year and speculating about the upcoming season. Many of you are also attending numerous meetings. You’re gathering information regarding products and production practices. You may be wondering “Will this work on my farm?” Why not go a step further and see for yourself? 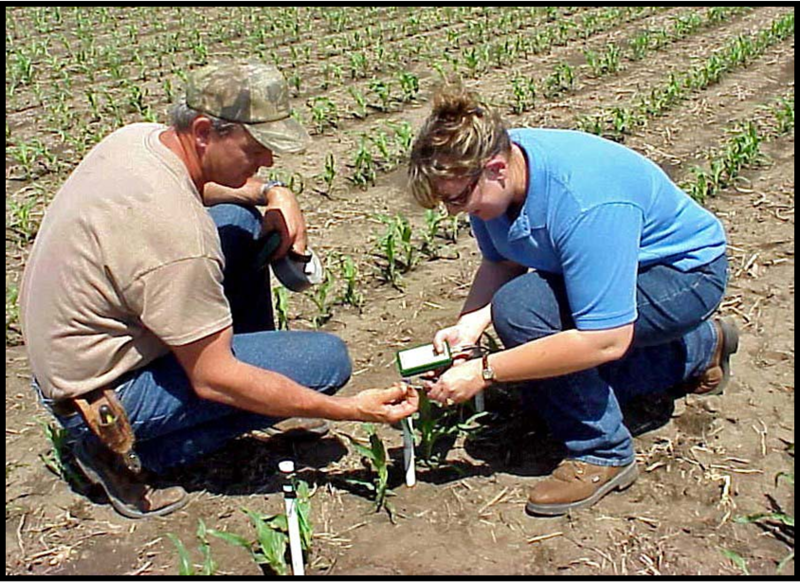 On-farm research is a great way to test these questions for yourself using your own equipment in your own fields! 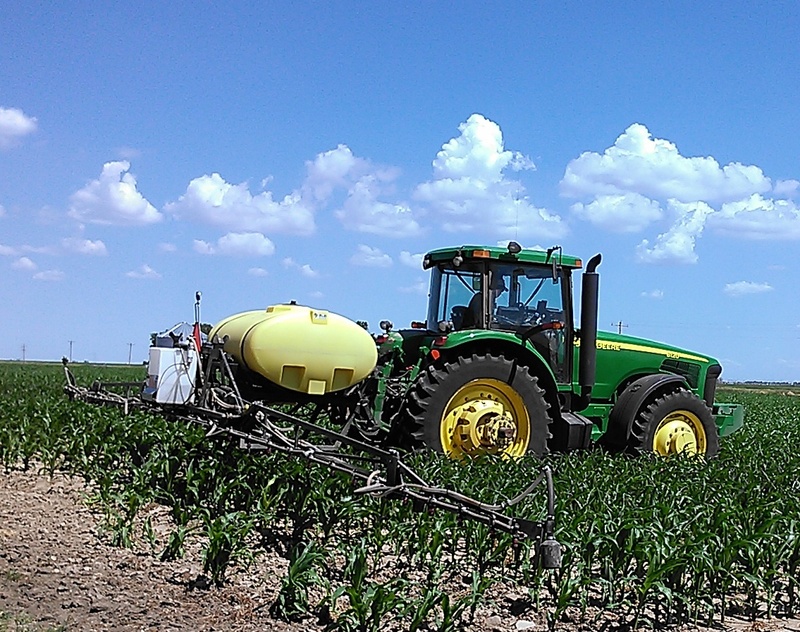 UNL Extension has partnered with the Nebraska Corn Board and Nebraska Corn Growers to form the Nebraska On-farm Research Network. 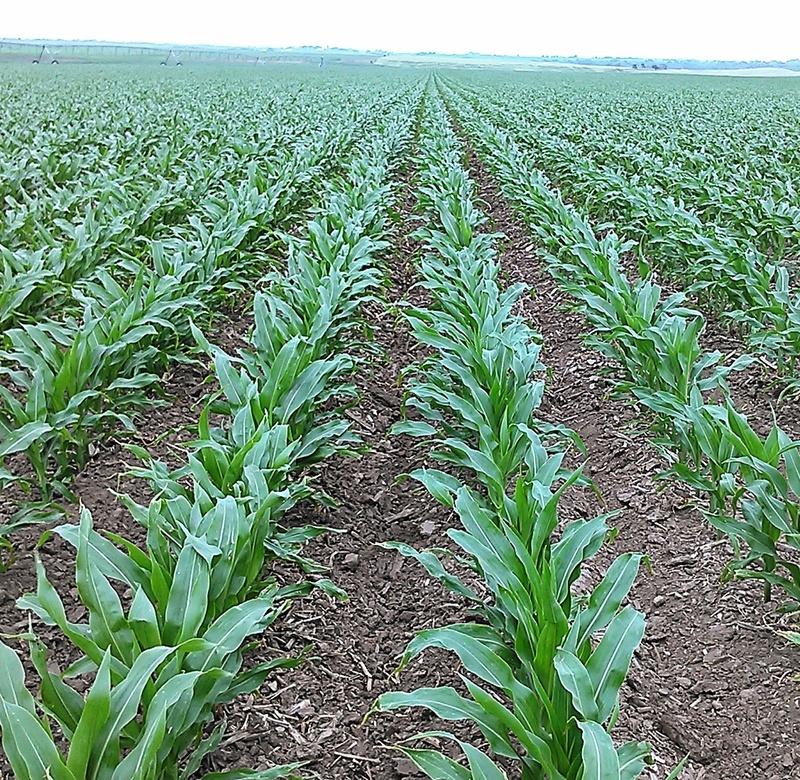 There are three main studies we are conducting state-wide: corn population, corn nutrient, and corn irrigation studies…but we are open to helping you design a valid research experiment for your field to test what you would like-and it can be for a crop other than corn. We have some upcoming opportunities for you to learn more. 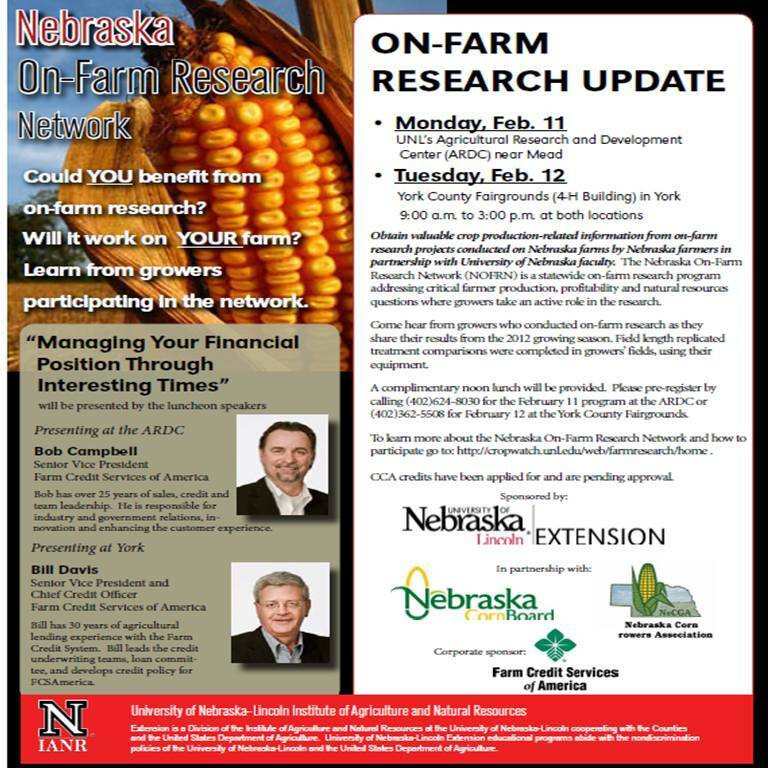 On February 11 and February 12 from 9:00 a.m.-3:00 p.m. at UNL’s Ag Research and Development Center near Mead and the York Co. Fairgrounds in York respectively, growers who conducted on-farm research in 2012 will be sharing their results; you can also learn more about conducting on-farm research in your own field. There is no charge for the meetings courtesy of the Farm Credit Services of America but we do need an RSVP for meal count and handouts. Please RSVP by calling (402)624-8030 for ARDC or (402)362-5508 for the program in York. I hope to see you at these meetings as well! 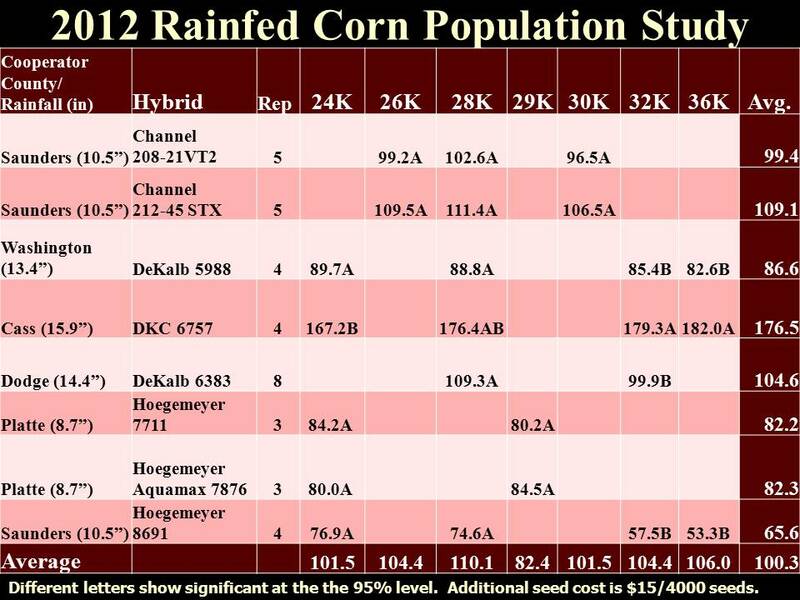 The past few months I’ve received several questions on cover crop options particularly after corn or soybean harvest. Most cover crops need at least 30 days of growth to start being effective and many should have 60 days or more days to provide full benefits. Cover crop cocktails should be used as much as possible. The diversity in the mixture builds microbial and physical soil function and reduces the risk of failure. Check with your local USDA FSA Office and your crop insurance provider regarding the use of cover crops with your farm programs. How many of you are planting cover crops this year? Which cover crops are you planting? What reasons did you decide to plant cover crops?